Analytics for Manufacturing Can Streamline Business! Is BI for Manufacturing an Appropriate Tool? Home > Is BI for Manufacturing an Appropriate Tool? What Can Business Intelligence for Manufacturing Do to Help My Business? Manufacturing today is complicated, and gathering and analyzing business intelligence for manufacturing can be a daunting task. Robotics, line management, supplier management, distribution, shipping, purchasing, resource management, anticipating the needs of customers and partners for the coming months and years…it’s a lot! Even if your manufacturing business is operating in a small community, you may still have global competition, and you need to stay ahead of that. You can no longer hope to achieve a competitive advantage based on location and geography alone. Products, pricing, process, quality and features drive the market and consumers are willing to purchase products from competitors to get more favorable pricing or a better, more suitable product. Increasing raw material costs and declining profit margins combine with government regulatory compliance policies to create a nearly impossible juggling act for even the most sophisticated manufacturing enterprise. Analytics for Manufacturing must include the monitoring and analysis of competitors, local, regional and international, and it must help business managers and team members optimize resources and achieve maximum productivity with minimum investment. Manufacturers combine innovative plans for growth with optimized, streamlined operations and resource allocation, sustain effective raw material inventory and avoid doing business with undependable suppliers, distributors and partners. 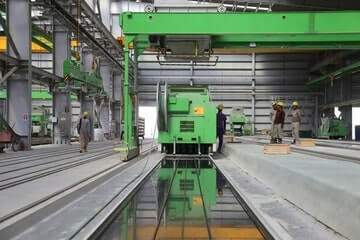 BI for Manufacturing is simple enough for every user, with sophisticated tools that allow users to gather and analyze information from supply chain systems, enterprise resource planning solutions (ERP), sales and marketing and customer relationship management systems, purchasing, shipping and distribution systems. With a complete, clear picture, users can gain insight into business processes, understand and resolve issues and forecast and predict demand for resources, supplies, inventory and equipment. Contact Us today to get started with KPI for manufacturing and cost-effective, easy-to-use Business Intelligence for Manufacturing.